Pow Wow is the Native American people's way of meeting together, to join in dancing, singing, visiting, renewing old friendships and making new ones. It's also a time to renew thought of the old ways and to preserve the rich Native American heritage. 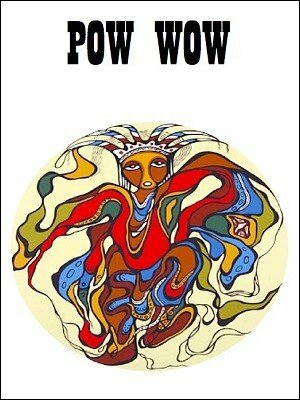 The word powwow in itself is from an Indian word that has been Anglicized. It comes from the Algonquian term "pau-wau" or "pauau", which referred to a gathering of medicine men and/or spiritual leaders. Pow Wow overall means "sharing" and that's what we're doing here with these Native American themed routines. We really hope you enjoy them! In this eBook you'll find 6 easy, creative, and effective Native American themed mentalism routines primarily using playing cards, also a medicine wheel you can draw yourself, and business cards or index cards. 1st edition 2006, 19 pages.